Part of Metro Manila in the Philippines, visit our dentists in Taguig for expert dental care in the hub of this megacity. In the southeast part of this conglomeration, Taguig was once a thriving fishing village located along the shores of Laguna de Bay. Its focus is now business, manufacturing and residential and the government also administers Fort Bonifacio Global City, one of Metro Manila’s important central business districts, along with Makati. Taguig’s skyscrapers attest to the fact it is a well-developed, contemporary city with the facilities and amenities to match. Public art, fountains and green spaces provide somewhere to relax for the city workers when they want to escape their offices. It is pleasant to walk around, and has a number of landmarks and attractions that are worth seeking out when you are getting your bearings. There is plenty to do, as in any city, in terms of shopping and bars. Restaurants, too, are varied with establishments serving international cuisine from around the world, as well as Filipino favorites. Only 25 minutes away by car from the center of Manila, it’s easy to enjoy the sights and sounds of the capital and to get to the airport to take a flight to one of the Philippines beautiful islands. All-in-all, it is safe place to come for your dental care and is a viable alternative if you want to stay in a city, but not necessarily the crowded capital. Overlooking Luguna de Bay, it is bordered by Pasig City, Makati and Pateros in the north, Taytay and Cainta in the northeast, Pasay in the West, Parananque in the southwest and Muntinlupa City to the south. 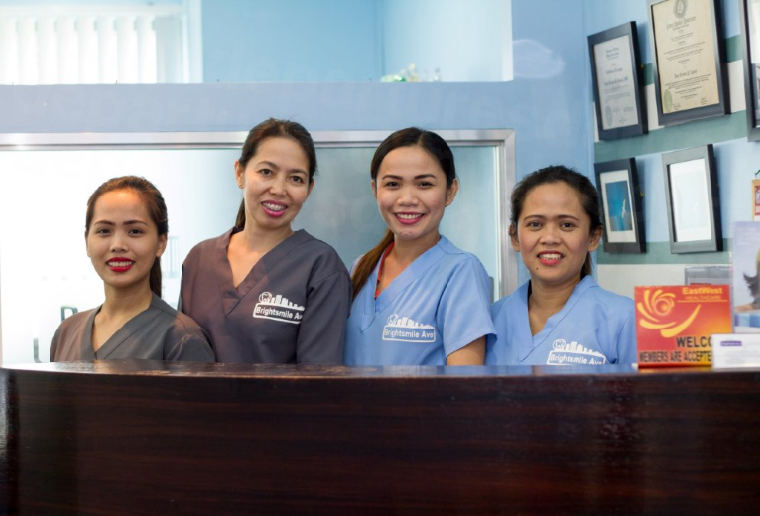 WHY VISIT A DENTIST IN TAGUIG CITY? 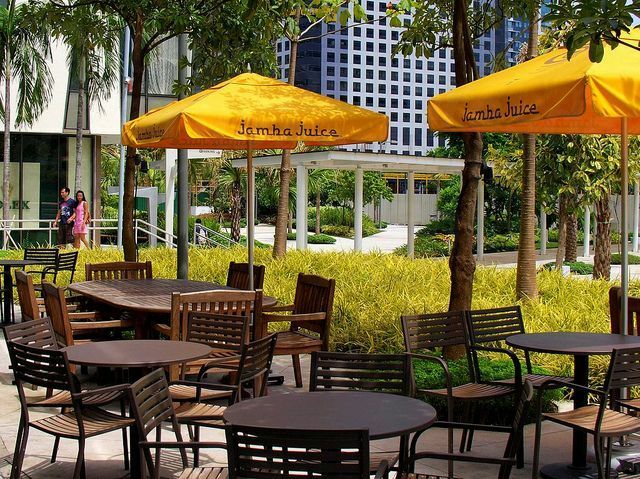 One of Metro Manila’s business districts, it is modern, safe and not as crowded as Manila, but has all the facilities you would expect to make your stay comfortable. Dental tourism here is growing, and international patients visit from across the globe. Whether you are here on holiday or for business, you can expect to receive the same standard of care here as you would at home. Dentist training in the Philippines is rigorous and the profession regulated. Filipino dentists must be registered in order to practice. Due to the nature of globalization, standards across the world are becoming uniform. New technologies, training and ideas travel swiftly and it soon becomes the norm for everyone to adopt new ways of doing things. This is certainly true in medical and dental care. The only reason that healthcare is cheaper here, is because the cost of living is less, not because the quality is poorer. The same technology and the same materials as your dentist at home uses are in use here, and you are more likely to return home with better treatment because you can afford to pay for the higher quality materials here. Self-catering apartments or hotel accommodation is available in Taguig – and you also have the option of staying in the Bonifacio Global City too, which is part of Taguig. Taguig is a relatively safe city. It is a business district and there is good security around. There are no warnings from the US or UK governments about traveling to this part of the Philippines. IS THE QUALITY OF DENTAL CARE IN TAGUIG CITY THE SAME AS BACK HOME? The quality is just as good, but you must make sure you choose a dentist who is reputable. This is why we keep repeating the mantra that you must do your homework and check your dentist’s and clinics credentials. We know this is easier said than done if you are looking at dentists in a foreign country, which is why we’ve made the process much simpler. Dental Departures runs background checks on all our dentists. We look at criminal and legal records, as well as qualifications and professional memberships. Visiting clinics is also one of our processes, as are collating patient testimonials. All of these checks, together, give us a pretty-broad picture on whether a dentist or clinic is trustworthy. If we like what we see, we promote that dentist/clinic on our website, along with high definition photos and virtual tours so you, the patient, can see decide whether a particular clinic is or you, or not. The choice is yours, but at least you can make an informed choice, rather than taking pot-luck. Our dentists provide guarantees and warranties on their work, so if a problem arises you can rest easy that you can have it fixed free-of-charge. Of course, we know that is a rather simplistic way of putting it, but things go wrong very rarely, and usually if it does it is a minor issue, like a filling falling out! The point is that if you go to a reliable dentist, things are less likely to go wrong. We say less likely because medical or dental procedures can never be guaranteed 100%, no matter who you go to. This is because we are all human – dentists can make mistakes, and our bodies all react differently, so what may suit a thousand people may not suit you. It isn’t likely to happen, but it’s a risk. It’s worth bearing in mind that if you do have to travel back to your dentist because of a problem that although our dentists’ warranties and guarantees cover their work, they don’t cover your additional travel or accommodation expenses. To have absolute peace-of-mind we got together with some insurance providers who have low-cost medical complications insurance, which will cover travel and accommodation expenses if the situation arises that you need to go back. Your dentist in Taguig will speak English. It is widely spoken in the Philippines as it is taught in schools and used in business. WHAT PAYMENT METHODS ARE ACCEPTED AT TAGUIG CITY DENTISTS? WILL MY DENTAL INSURANCE BE ACCEPTED IN TAGUIG CITY? It’s improbable your dental insurance will be accepted by a dentist in Taguig if you are an overseas patient. However, you may be able to make a claim if your insurance provides for ‘out-of-network’ care. Check with your provider if you are unsure. WHEN IS THE BEST TIME TO VISIT A DENTIST IN TAGUIG CITY? Our dentists are usually only shut during important holidays so you can visit at any time of the year. In terms of the best time for weather, tropical Taguig’s weather is hot throughout the year and the temperature doesn’t very much from one season to the next – although there are only two – the dry and the wet! The wet season is short and rather than continuous rain it tends to be sudden downpours, which disappear as quickly as they arrive. There are wide open spaces which make getting around in a wheelchair much easier, but the best place for wheelchair accessibility is over in the Global City. Nothing really. Taguig isn’t a tourist destination as such, but if you like the buzz and the amenities of cities then you’ll find it perfectly acceptable. WHAT ELSE IS THERE IN TAGUIG CITY? 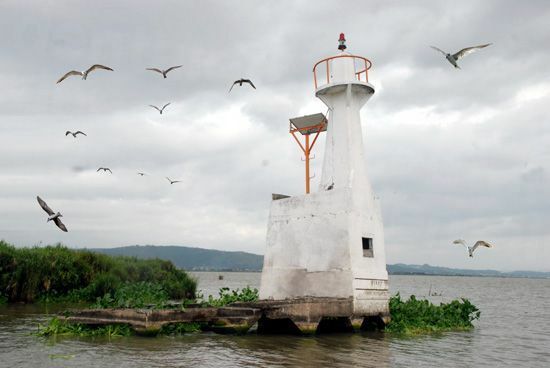 Built in the 17th Century, Parola is the lighthouse that is situated at the mouth of the Napindan Channel. Historically, it was important for its role in the Philippine Revolution, becoming the rendevouz for the freedom fighters. It was picked as a meeting place because it was accessible from Tondo, Manila and from the places along the Pasig River and the Province of Laguna. There are some interesting places of worship in Taguig, including the Blue Mosque, which, unsurprisingly, has a blue dome. It is in Maharlika Village and was designed by architect Angel Nakpil as a meeting place for both Filipino and foreign muslims. St. Anne’s Church in Barangay was built in 1587 and is one of the oldest in the Philippines. In 1645 an earthquake destroyed it and it was rebuilt in 1848, only for it to be destroyed by another earthquake. The current building was built in 1896. Then, there is the Fort Bonifacio Global City, built on undeveloped land between Taguig and Makati – and currently in dispute between the two cities as to who administers it. The City was based on, according to the Taguig Government, the “functionality of Seoul, the excellent systems of Singapore, the innovation of Vancouver and the Visionary outlook of Paris”. Among its many amenities are shopping centers, a museum, park, garden, IMAX theatre, sculptures, bars, restaurants, hospital and residential accommodation. Purpose-built and a vision of cities of the future, Fort Bonifacio is worth popping down to if you’re in Taguig, and you can even visit one of our dentists there! Also nearby are the cemeteries commemorating the Filipino soldiers and the American soldiers who lost their lives in World War II at the Heroes’ Cemetery and the Manila American Cemetery. Ninoy Aquino International Airport (NAIA) in Manila is about 20 minutes car ride away from Taguig. Tricyles – This is a motorbike and side care. If you’re not on the large side, and not traveling too far, they’re fine for short trips. Jeepney – Hail these colorful old, modified World War II jeeps anywhere. They run 24 hours a day and are incredibly cheap. Buses – If you’re travelling far out of town get a bus. You’ll pay a little more, but get an air-conditioned one to travel in reasonable comfort. HOW DO I BOOK A DENTAL APPOINTMENT IN TAGUIG? Book your appointment with one of our dentists in Taguig online or call our Customer Care Team on our toll-free number. With Dental Departures you get quality-checked dentists at the guaranteed best prices.